This section will explain how you can make your first advanced webform. Forms can be created from the Overview page. Go to this page by clicking on Dynamic Forms in the navigation bar. Simply click the Create new Form button to start building a form. 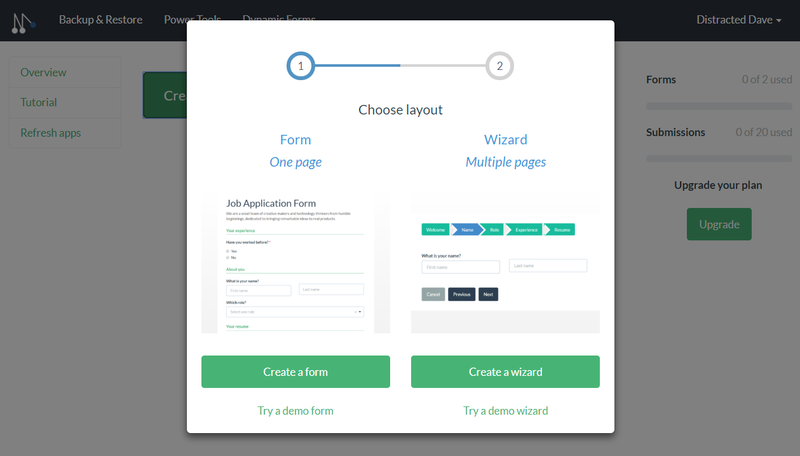 In the pop-up you need to choose whether you want to create a form (1 page form) or a wizard (form with multiple pages). In the next step you select the the organization, workspace and app for which you would like to build a form. Tip: It is possible to create multiple forms for the same Podio app. 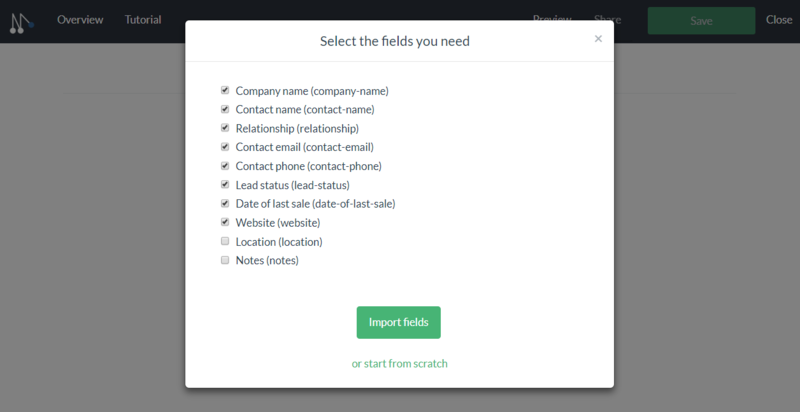 In the last step you can select which fields you want to display on your form. You also have the option to start from scratch and drag and drop the app fields yourself. Once you are done building your form, you need to save your form before you can publish and share your form. Once you have saved your form, it will become visible in the Overview page. In the section Your Dynamic Forms you will see your existing forms. There you have the option to edit, share, clone or delete your form. Important: Deleting a form cannot be undone. Use caution. To add an app field to your form, drag and drop the app field from the left column into the desired location within the form. Placeholder: The placeholder text that will appear when this field is empty. On the right side of the settings pop-up you can see a preview of how the form will be displayed. Once you have filled in the parameters, click Save to add the form component to the form. 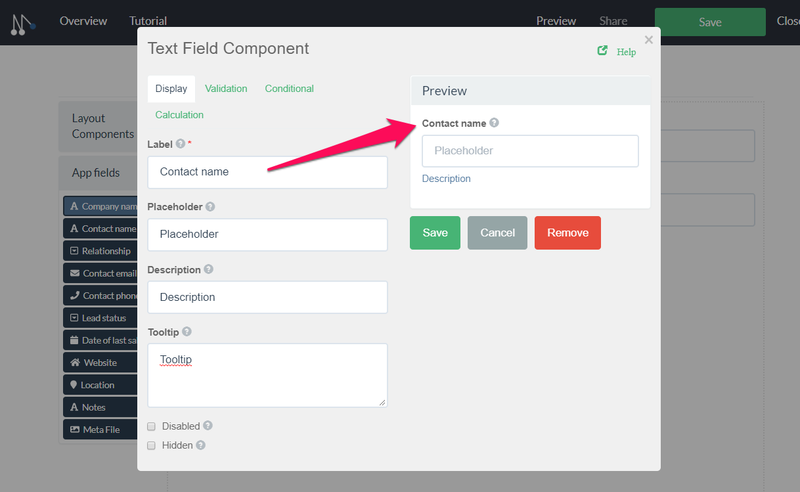 To edit an app field on the form, hover over the component and click the gear icon. This will open the settings pop-up. To remove an app field, click on the cross icon next to the gear icon. You can add an app field again after removing it.